'Ere, today we are giving you the chance to bag a family ticket to Woburn Safari Park, with a VIP Up Close Encounter. Just don't ask how we got it. 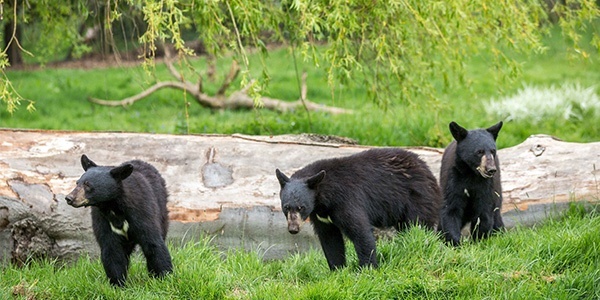 For a really wild safari adventure, drive through Woburn Safari Park in Milton Keynes and meet three bear cubs in the Kingdom of the Carnivores. Explore the brand new walk-through enclosures in the Foot Safari; Farmyard Friends, Chelonian Pathways with giant tortoises, and the Cachorro Range with bush dogs. Today’s winner could be bringing their family (up to four individuals) to Woburn Safari Park this summer for a safari adventure with the wonderful wildlife. A 30 minute VIP Experience to meet one of the following animals; tigers, lions, bears & wolves, giraffes, rhino, monkeys, lemurs, meerkats or penguins. Visitors to Woburn Safari Park on Sunday 30th July can meet heroic pup Marshall from Paw Patrol or go on a mini VIP trip to meet the tigers and help raise money for tiger conservation in the wild. Book your event tickets here! Fancy the tickets? Scribble some details below before 5pm today... be quick. The prize consists of one day admission for up to four individuals, including a ‘VIP Up Close Encounter’ is valid for up to four individuals and must be booked within six months of the date of your letter of confirmation. To book a date for your VIP experience, please call on 01525 290991. You are advised to book as soon as possible to get the date that is best for you. All dates are subject to availability. Upon booking your date, you will be sent details for your VIP Experience. Once your date has been booked, we cannot rearrange it except in very exceptional circumstances. All prizes are non transferable and no cash value or alternative will be offered.